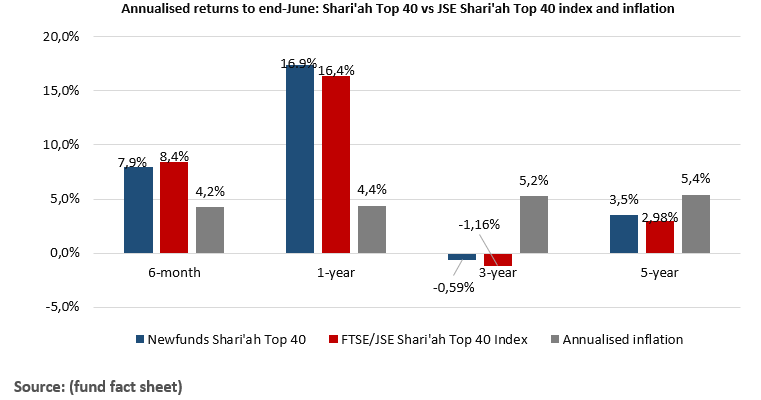 The New Funds Shari’ah Top 40 ETF performed well over a one-year period, with an impressive 16.9% annualised return. Over the past three years, however, it lost 0.59% and is up just shy of 3% at the five years mark. In comparison, the Absa NewFunds SWIX Top 40 ETF returned 17% over one year (annualised), 6.18% over three years and 10.85% over five years. 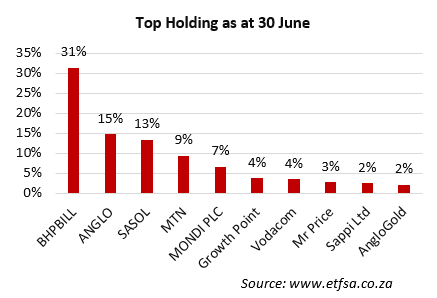 Outlook: Resource stocks make up more than half of the fund’s holdings. Moreover, most local resource stocks are driven by the global commodity market and the rand exchange rate. The rand weakened over the six months to end-June, affecting returns, while global commodity prices have been recovering nicely due to a more synchronised global economic recovery – particularly in Asia. However, recent trade wars have somewhat spooked investors and we are beginning to see some price weakness creeping in. The commodity price recovery has been more pronounced in oil, coal and iron. Top holdings: The top five holdings occupy 76% of the New Funds Shari’ah ETF, three of which are resource companies. In fact, resource companies make up 55.86% of the overall fund, which diminishes the diversification benefits one usually obtains from ETFs. Should commodity prices fall, the ETF will suffer. What it does: The New Funds Shari’ah ETF is compliant with Islamic ethical investing. 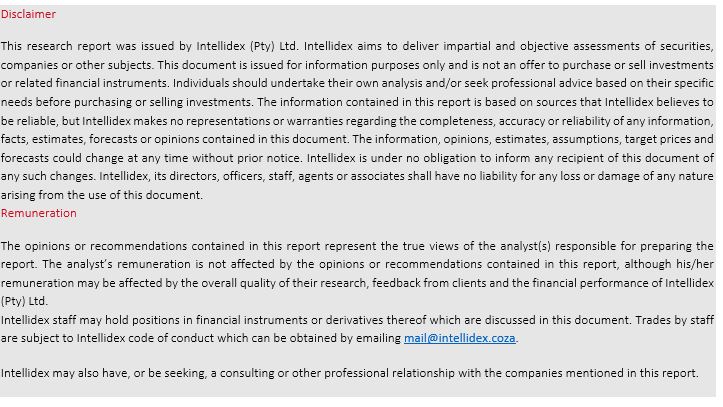 It tracks the FTSE/JSE Shari’ah Top 40 index which consists of the JSE’s top 40 companies that are Shari’ah compliant. 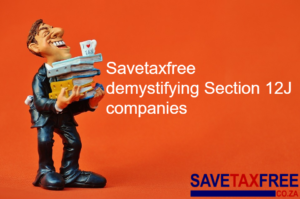 Since constituent companies in this fund are weighted according to market value, it means the price movement of a larger constituent company will have a large effect on the price of the fund. The attraction of this methodology is that it tends to favour companies that are performing well. Suitability: The New Funds Shari’ah ETF is an aggressive fund for long-term investors with an appetite for risk, as it may undergo periods of high volatility. It offers investors a blend of domestic and international exposure. It complies with Islamic investment principles. Risk: The fund is classified as highly risky with 93.45% of its funds in equities, which is a risker asset class than shares and bonds. Most constituents operate in offshore markets, so rand value fluctuations affect the fund’s returns. Concentration risk is also prevalent: resource stocks make up the bulk of the fund’s holdings and the biggest company, BHP Billiton, alone makes up almost a quarter of the fund. Fees: The total expense ratio (TER) for this fund is 0.17%. The Sygnia Itrix 40 ETF is the cheapest top 40 fund with a TER 0.15%. The are no direct peers.